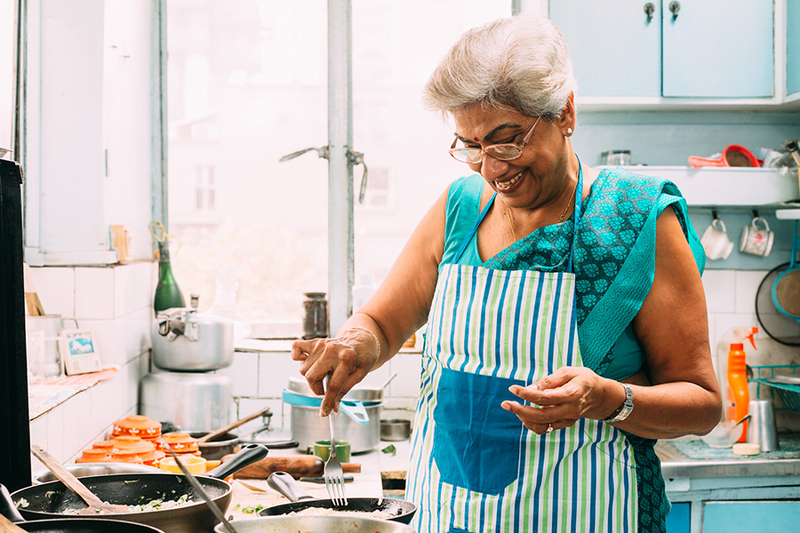 Iti, a warm and welcoming retired British Airways executive, has been on a series of cooking shows on Indian TV where she demonstrates Bengali cuisine. 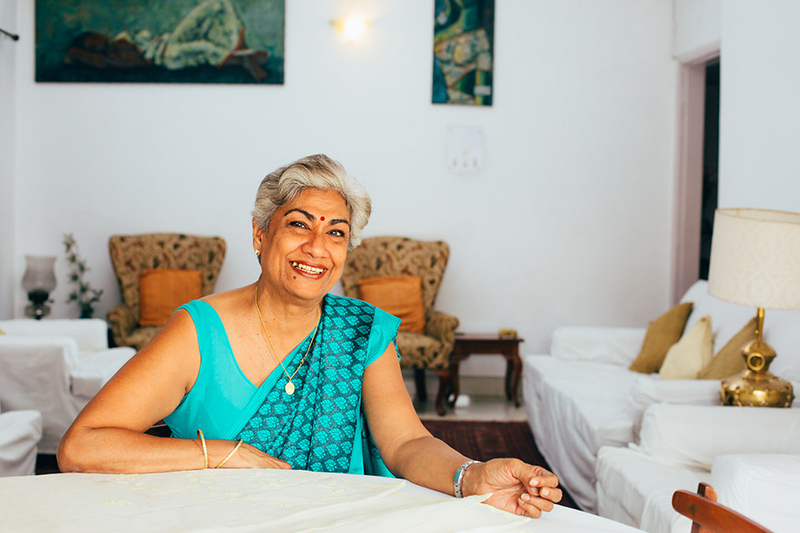 She lives in Calcutta in an elegant, modern apartment with a garden terrace. 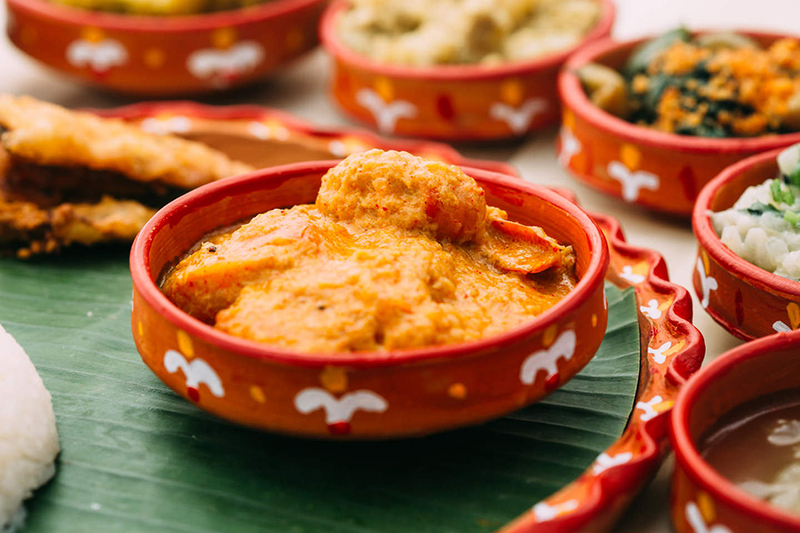 In-home meal: (1-8 guests) Share with Iti a traditional Bengali tasting menu served on beautiful hand-painted terracotta plates with matching bowls for curries. 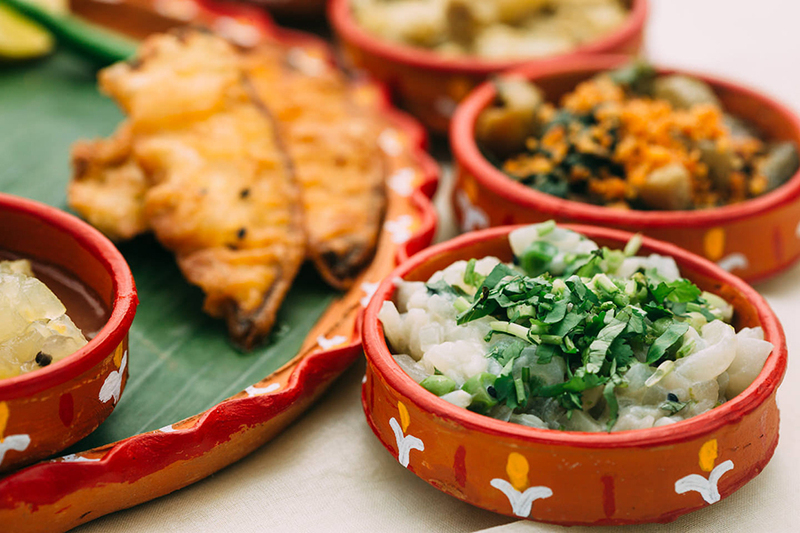 Bengali cuisine centers around seafood, lentils and vegetables redolent of flavors like mustard, poppy seeds, panch poran (a traditional Bengali five spice blend) and coconut. Dishes may include pulao (fragrant saffron-flavored rice), dal (yellow mung lentils spiked with mango-flavored ginger and cumin), beguni (crispy eggplant fritters), alu jhinge posto (potatoes, zucchini, and yellow pumpkin cooked with a poppy seed paste), chingri malai curry (aromatic coconut cream prawns), bhetki paturi (sea bass coated with a mustard paste and steamed in banana leaves) which is one of the best fish dishes we have ever had. For dessert, you might try payesh (Bengali style rice pudding flavored with cinnamon and sweetened with date palm sugar) or another of her fantastic dishes. Notes: Please note that this experience is not suitable for children. 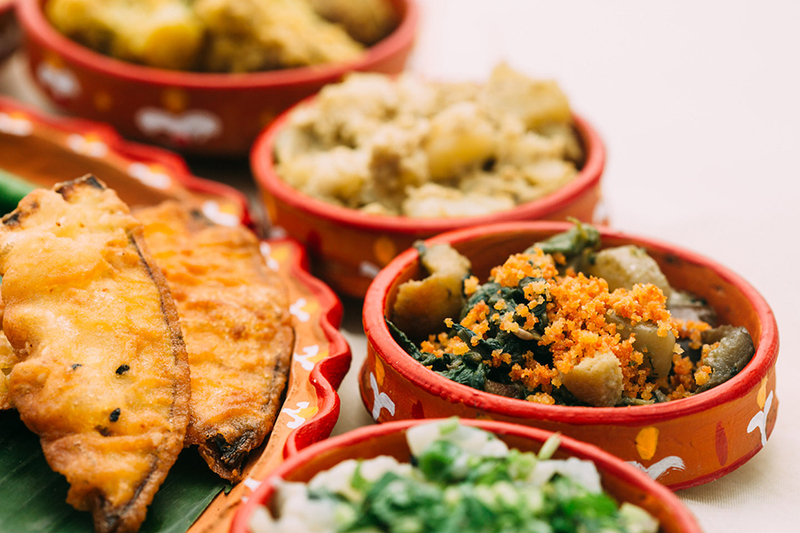 Also note that four groups larger than four travelers the meal will be served buffet style. This was such a delightful way to spend an evening. A charming, well travelled lady who was a wonderful hostess and a very nice home. The food was fantastic and our hostess was so knowledgeable about all the dishes and provided us with a lot of information on how to make some of the dishes. Having a meal in a family home like this gives one a whole different aspect on the city. A very worthwhile experience! The meal was a seven course taster menu. The relatively small portions served my wife well, and there was plenty of 'seconds' available. Iti spoke excellent English and was a mine of information and answered all our varied questions fully giving a good insight and understanding of those aspects of Kolkata life we were curious about. Due to a failure on my part to fully read the confirmation date a Thursday we had programmed the meal for the Friday. Iti texted us to ask our whereabouts on the Thursday as she was concerned we may have got lost as her apartment is not straightforward to find. After we had clarified the error and the reason for it, she graciously rearranged the meal for the Friday. In addition she invited us to a talk she was attending that evening at the Victoria memorial beforehand, picked us up in a car from our hotel and thence to her apartment. Following this first experience, we will be inclined to undertake similar experiences in other cities we may visit. It was a great pleasure to meet Iti.. a privilege to be invited into someone's home in a new city. The meal and the setting were lovely, and the hostess! what a way to celebrate a 70th birthday but the best was her lovely invitation to a superb concert in the evening in the Maidan - Thank you Iti!!!!!!!!! This experience, being invited in to someone's home is a very precious one. I wholeheartedly recommend it. We had a lovely time. The food was delicious and Iti had tempered down the spices for our tender American pallets:-) I would definitely do this again and look forward to checking it out in other countries as well. Iti was an excellent host. She made us so welcome and was very happy to answer any questions. We had some stimulating conversation and Iti provided us with beautiful Bengali food we are looking forward to her recipes which she is sending onto us. I would recommend an evening with Iti as a 'must do' in Kolkata. In summary, we had a wonderful evening at Iti's home. She is a very interesting and friendly lady who is well travelled and well read. 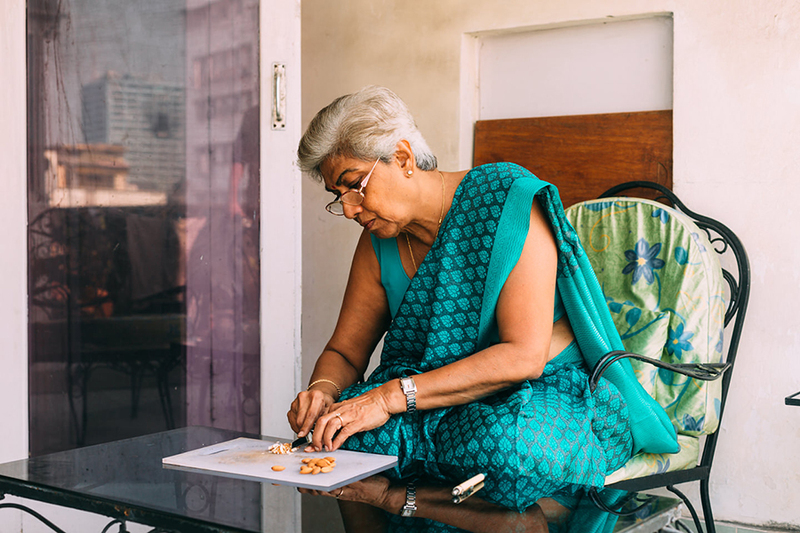 She provided great insights into the life and culture in Kolkata. The food was superb too! It was delightful and delicious! 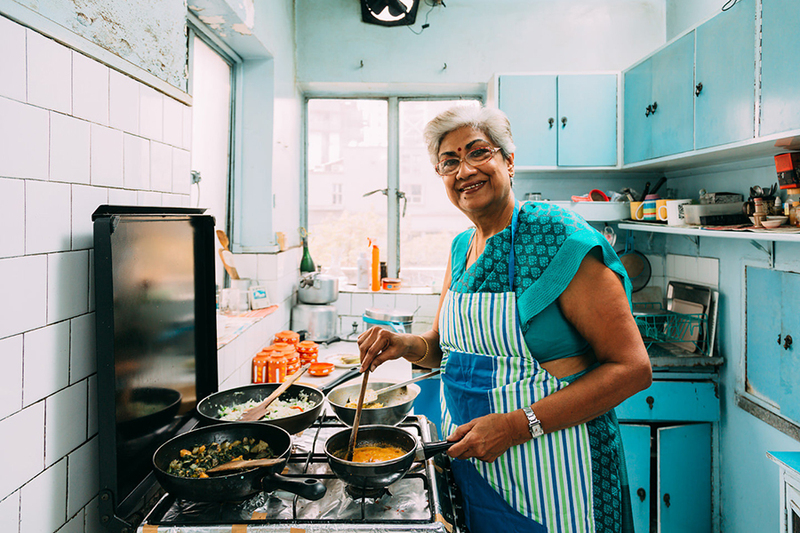 Spending a relaxing afternoon in Iti's home while savoring her excellent home-cooked meal was a perfect way to spend our first day in India. It gave us the opportunity to ease into the local culture. My favorite dish was an eggplant dish but we enjoyed everything. I had a fabulous time with Iti. 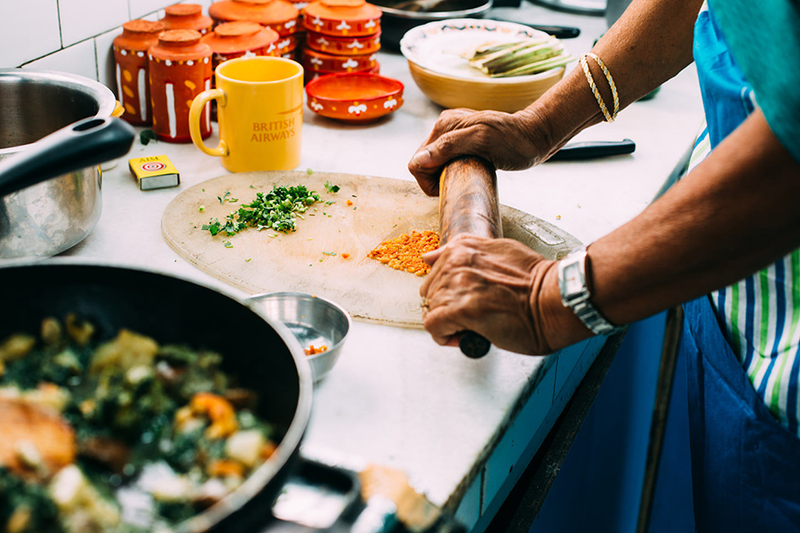 The experience was really really special and even though I am from Calcutta, I was able to enjoy the cuisine in a whole new level. Iti has a really warm personality, and we had the opportunity to have long discussions before and after the meal. 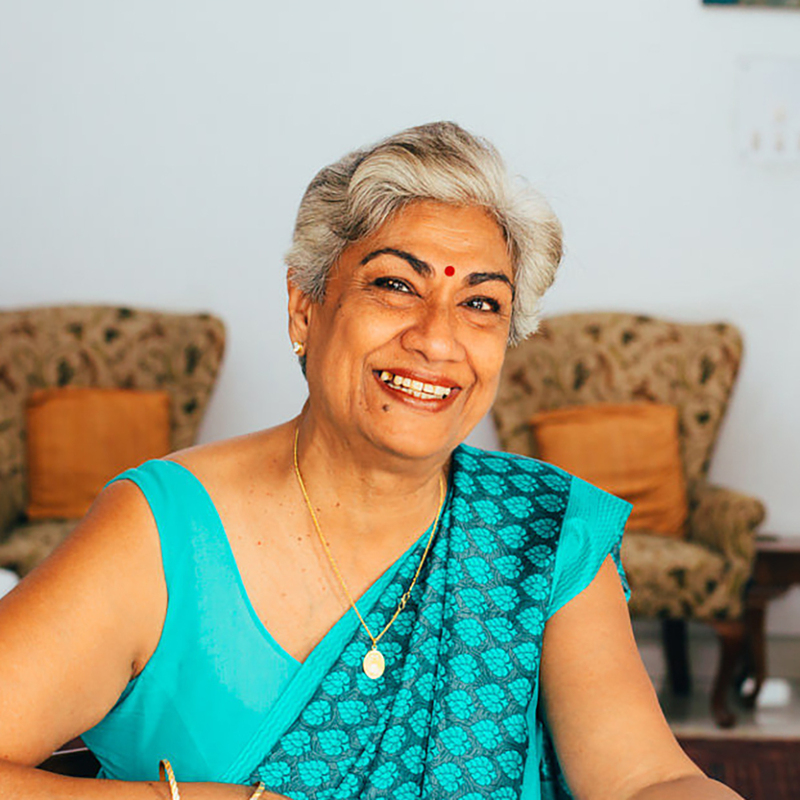 She's very well traveled, and very knowledgeable not only regarding Bengali food, but also in authentic Italian and other European cuisines. 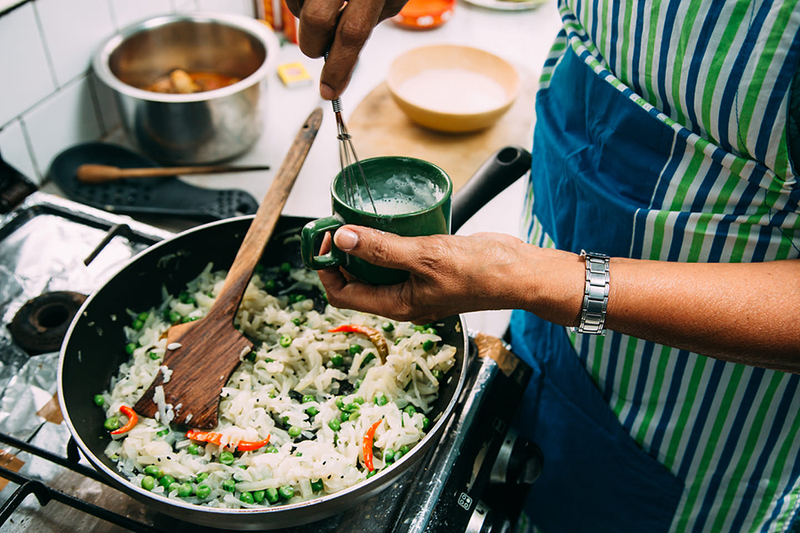 Iti prepared almost 10 different dishes, and each one of them was delicious. My favorite was the 'coconut malai curry with cauliflower' - something I've never tried before! We ended the meal with a 'santre ka kheer' - delectable home made desert with milk and oranges.